Molly Bracken is a brand that you may not have come across before as it doesn't feature prominently on many of the websites where their range is sold. That doesn't mean the brand should be overlooked. 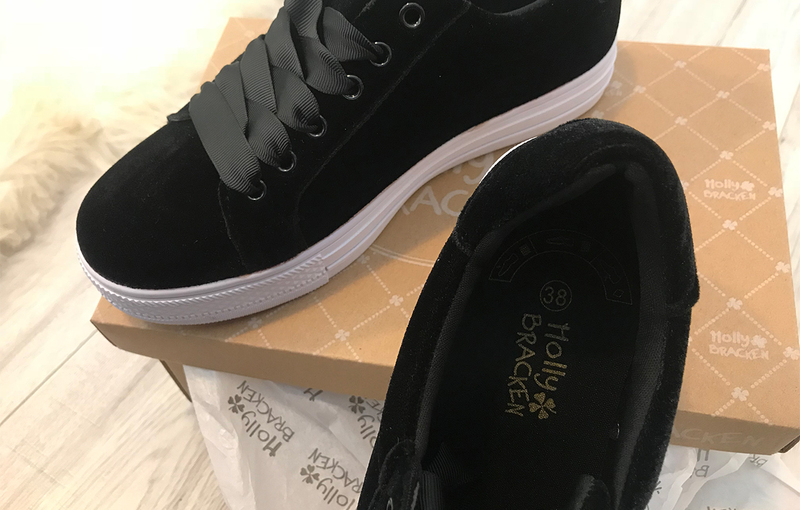 While this write up focusses on their shoes, Molly Bracken have some unique and stylish clothing that could easily become a staple or special piece in your wardrobe. 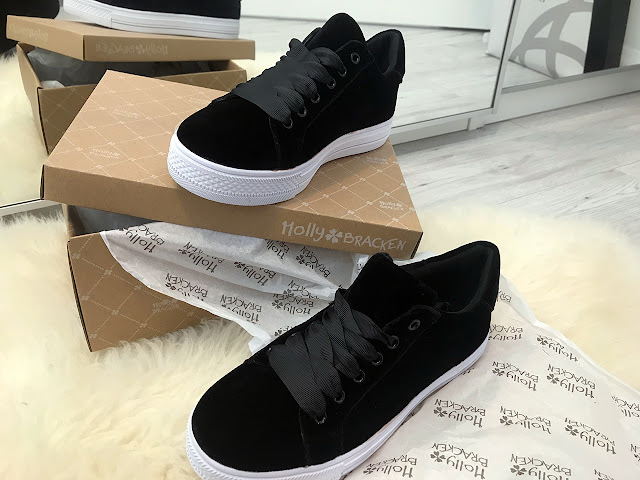 Introducing The Molly Bracken 'Dales'; a pair of velvet low top trainers with ribbon laces. Looking for the perfect comfy, trendy and sporty shoe trainers are the first thing that springs to mind but then it's about finding a trainer that doesn't look like your average gym trainers or running shoes. In step Molly Bracken with a white soled black trainer that looks like something you can wear with a bit more than yoiur adidas high-tops. 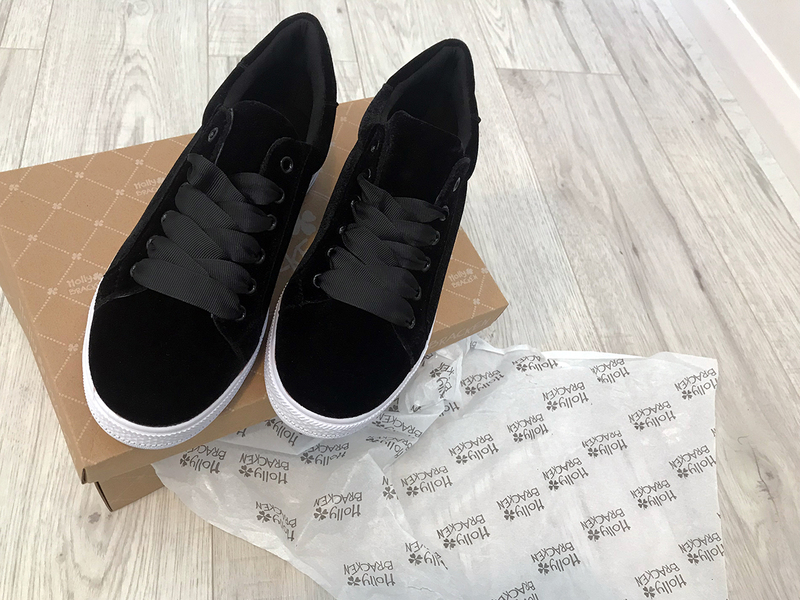 The black velvet finish is classy and in fitting with the velvet clothing that is everywhere on the highstreet and the wide ribobn laces finish the trainer off where a standard lace would look out of place. Ideal for a smart casual outfit, these trainers don't look out of place with leather trousers or coated jeans or a cute jersey swing dress.